The most famous ex-hostage in the world has gone to the Sacred Heart in Montmartre on this Sunday July the 6th to thank Jesus and Mary for her liberation. After her prayer Ingrid Betancourt confided herself to the newspaper Pèlerin to tell how her faith showed itself in the most painful moments of her captivity. It was Sunday July the 6th, in the evening, coming out of the 10 PM mass celebrated in the basilica of the Sacred Heart that dominates Paris from the height of the Montmartre hillock. Ingrid desired to do this pilgrimage with her dear ones: her children Melanie and Lorenzo, her mother Yolanda, her sister Astrid, and some others. 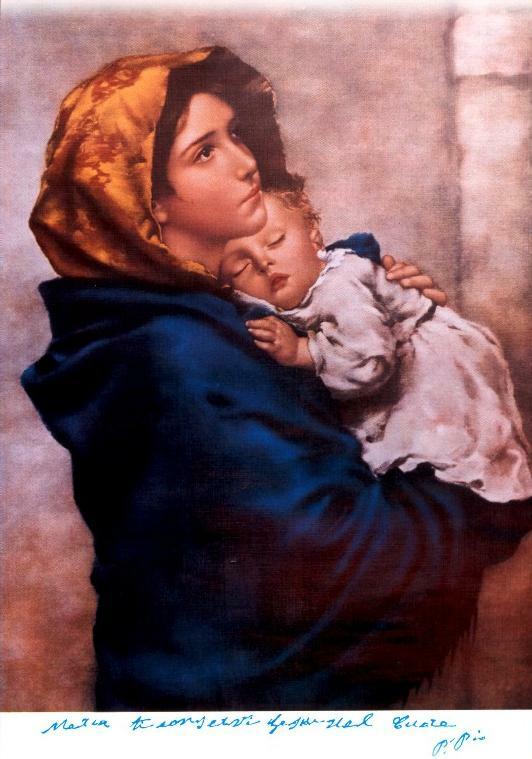 Because she wanted to fulfil a promise made during her captivity: to thank first of all and above all Jesus and the Virgin Mary to have given her back her freedom. Her family and she prayed at the chapel which is back to the choir of the basilica. Although the late hour and the fatigue, Ingrid accepted to confide herself , , for more than half a hour. She told that the faith that has supported her during the trial, her love for Jesus and Mary, her readings of the Bible and the Gospel have given her the strength not to yield to the hatred against her gaolers. Your first act as a free woman has been a sign of the cross, your first word has been one to thank God and the Virgin Mary. Why did you feel this need? When I was imprisoned, I had decided, at the moment I would have been freed, to thank first of all the Lord. Why? Because if I had not had the Lord by my side, I don’t think I would have been able to grow in the sufferings. To be an hostage puts you in a situation of constant humiliation.. You are victims of the complete despotism, you know the meanest side of human soul. Faced with this situation, there are two ways. Either one let oneself become ugly, acid, resentful, revengeful, one let one’s heart to be filled with grudge. Or one chooses the other way, the one Jesus has shown us. He asks us to: “Bless your enemy” Every time I read the Bible I felt these words were addressing to me, as if He were in front of me, He knew what was necessary to tell me. And that went directly to my heart. Of course, I realized that when your enemy is atrocious is difficult to be faithful to these words. Nevertheless, when I did the exercise to pronounce the words “Bless your enemy” – when I felt like saying the opposite- it was magic, there was a sort of … relief. And the horror disappeared, very simply. I could tell you about things like that for days long. I know, I feel that there has been a transformation in me and I owe this transformation to this contact, this capacity to listen to what God wanted for me. It has been a constant dialogue with God through the Gospel! Was this faith that supported you during all these years present since the first days? Has there been a special event? A particular thought that turned you towards God? And did this faith leave you? Did you never feel moments of abandonment, of loneliness? The first year, it is true, I was fighting against God. I beard God terribly ill will for my father’s death. I told Him: “Why did You do it to me, knowing that I adore You? Why are you punishing me?” And afterwards I realized I had to thank Him, as daddy would have never stood these six years of horror. So yes, I can say my faith has continually grown. It is odd, it was like something occurred in order to understand something else. I need to tell you about my discover of Mary. Daddy had a great devotion for the Virgin, when I at that time thought Mary were a little bit… ninny. Let’s say it was not really the image of a woman who made me dream. I’d tell you: I fell in love, as the Canadians say, in front of Mary while reading Saint John’s Gospel, when he tells about the wedding at Cana. I found extraordinary this dialogue between Mary and Jesus. This complicity among them is genial. Although all the reasons Jesus opposes to His Mother, She already knew He would have done what She wanted, He would have turned the water into wine for Her sake. While reading this passage I could not refrain from thinking to my relation with my son, Lorenzo. You cared about coming, this evening, to the basilica of the Sacred Heart. Which meaning do you give to this pilgrimage? During almost seven years, I made many promises to the Virgin, and I want to tell you something of a particular importance to me. On the 1st of June I listened to Radio Catolica Mundial and I learned that the month of June is the one in which the Sacred Heart is celebrated. Now, the last time I saw my father, the veil of my kidnapping, we were sitting in his room, under an image of the Sacred Heart. Daddy then took my hand, looked at the image, and asked: “Sacred Heart, take care of my heart, take care of my daughter.” So when I heard the radio talking about the Sacred Heart I strained my ear. At that moment, I did not catch well the story of Saint Marguerite-Marie – in fact, I just learned her name. But I realized that if someone, like her, devoted oneself to the Sacred heart, one would receive some blessings. I remember one blessing, in particular, that of Jesus promising to touch the hard hearts that make us suffer. Then I made this prayer: “My Jesus, I never asked you anything because you are so great that I feel ashamed to solicit you. But here, I am going to ask you something very practical. I don’t know what exactly “devote oneself to the Sacred Heart” means, but if You announce to me, during the month of June which is your month, the date in which I will be freed, I will be all to you“. And on the 27th of June, a commandant of the guerrilla came to the camp and ordered us to prepare our things, because maybe one of us was to be freed. When he talked I thought: “Here it is! He is at the appointment”. My liberation occurred in very different a way, but the fact is that Jesus kept His words: I live a miracle.